The Board of Cricket Ireland has called for an immediate review of the Inter-Provincial Series. The Board discussed the Inter-Provincial competition, and supported a proposal for the Inter-Provincial Structure Working Group to convene in order to undertake a review of all aspects of the competition. 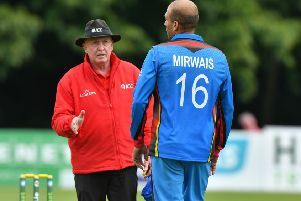 Richard Holdsworth, Cricket Ireland Performance Director, said: “The Board endorsed the recommendation to begin an immediate review and ensure the competition adapts to our changing circumstances. “All major cricket nations have strong, competitive domestic first-class systems that feed talent into their senior international team. “While the Inter-Pros has shown the potential, time is against us given the age-profile of our senior squad and the disappearance of the County pathway, so there is consensus that we need to further increase the standard and professionalism of the competition. “The competition is where our best young players need to be gaining regular, competitive cricket experience. “The Working Group will examine ways in which we can ensure the competition is facilitating best v best, and make recommendations around the volume of matches played and whether or not a fourth team may be required in the 50-over and 3-day cricket competitions.